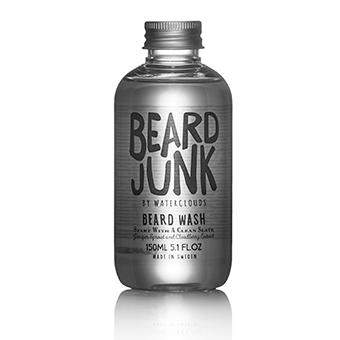 A gentle beard shampoo especially formulated to clean beards and beard follicles. 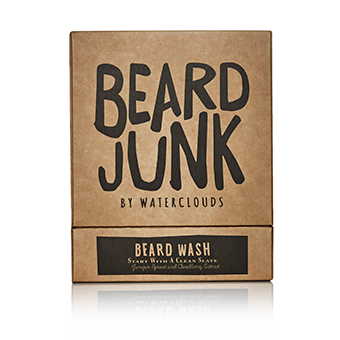 Contains Juniper Sprout Extract and Cloudberry Seed Extract that enrich the beard and beard follicles with Vitamin A, C and E and also contain antioxidants. Application: Can be used daily. Moisten the beard and thoroughly massage the shampoo into the beard and follicles. Rinse carefully and then preferably apply Beard Lubricant. 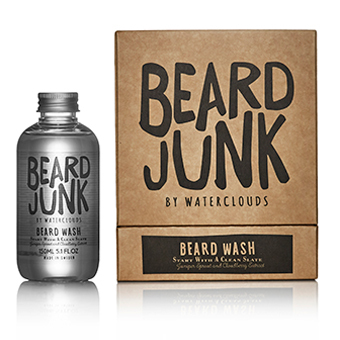 Beard Junk is a range of beard products developed by Swedish hair care brand Waterclouds. All products in the Beard Junk range are made in Sweden and have been specially developed for beard care and beard styling. Backed by the experience and knowledge acquired from the development of beauty products, we have produced a beard care range with specially selected ingredients for each individual product and purpose. Beard Junk a beardbanging product.